Authorised retailer for Smart Turnout Watches. Free delivery, 30 day free returns and five-star rated service. Buy now with up to 12 months 0% finance. 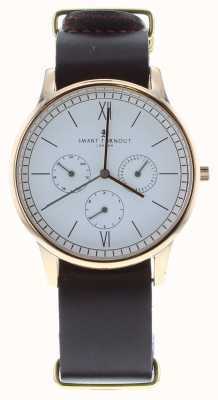 Smart Turnout watches feature a quintessentially British style which stands out on your wrist. The watches in this collection are inspired by its strong military heritage combined with modern design ideas. 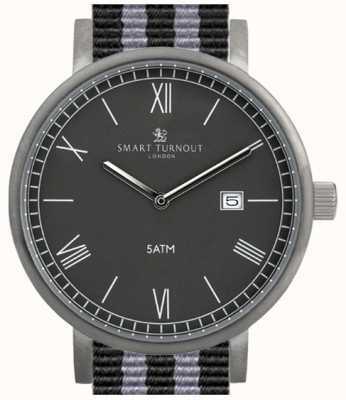 Smart Turnout watches are unique, with colourful Nato straps featuring a wide array of stripes and patterns. The watches come with interchangeable straps and watch faces which allow you to build your own accessories to suit different outfits and occasions. 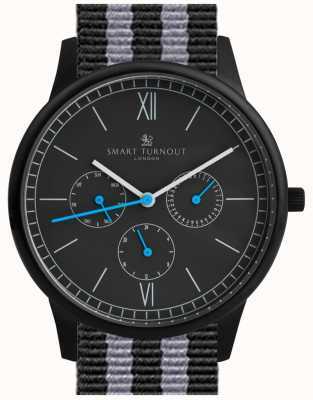 Smart Turnout is a regimental term which means “to look your absolute best and have a stylish appearance.” Smart Turnout watches are created with this ethos in mind which makes them ideal for formal occasions or to smarten up more casual outfits for everyday wear. Smart Turnout was founded in 1999 by Phillip Turner after he left the army. The idea for this business was formed at the age of 28 when serving in the Scots Guards. Phillip was given the opportunity to ride in the annual horse race called the Grand Military. He was given odds of 100-1 but was determined to make an impression, which he did by personally designing his own racing colours for the event. People were so impressed with his racing colours that he started receiving requests for Scots Guards regimental jumpers for his serving friends. After leaving the army he set up Smart Turnout in his room in a shared flat, producing jumpers, ties and socks. Smart Turnout has grown into a global brand in the decades since it was founded – finding most success after a 2008 GQ article brought the brand into the limelight. Its offering has expanded too, initially Smart Turnout designed colourful Nato watch straps for people to attach to their own watches. It was a natural progression to move towards Smart Turnout watches, which have proven incredibly popular. Smart Turnout watches are the perfect accessory for any outfit you could choose to wear. The straps are colourful but classy, with nice designs which really do help to compliment any outfit. 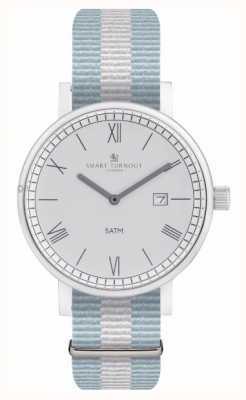 Examples of these designs are the Smart Turnout Signature Watch - Navy With Ah Strap and the Smart Turnout Savant Watch Silver White With Harvard Strap . The choice of interchangeable straps and watch faces also allows you to build a collection to ensure you have an option for any outfit. All of this is available at a more affordable price to help you craft your own accessories to ensure that you always look your absolute best.